Mark Scott, Secretary of the NSW Department of Education (DoE), was recently part of a collaboration between The Sydney Morning Herald (SMH) and the NSW Education Standards Authority (NESA) in a get-together titled ‘Schools Summit – Future frameworks for challenging times’. One section of the summit was delivered online. This was titled ‘SMH Schools Summit Livestream’, and was available to all, rather than just physical attendees. Secretary Scott was one of the panel of four involved in this panel discussion. The conversation was titled Creating the curriculum to tackle society’s needs for the next 50 years. The four panel members were asked specific questions about the topic. The conversation shifted from how bold curriculum reform should be, through consideration of mandatory elements in any new curriculum, how ‘proud’ some people are of the conservative and sound curriculum we already have (! ), and how it may be possible to ensure the curriculum helps students in 50 years’ time. The discussion considered the skills and qualities that large employers such as Woolworths and Price Waterhouse Coopers demand now – team and collaborative skills and adaptability, rather than grade averages. The importance of these qualities in the working population in the future was acknowledged. It was suggested that the curriculum has to allow for both deep learning, and collaborative skills development, through problem-solving. The capabilities received considerable attention. It was agreed that there must be a continued emphasis on the knowledge-based elements of the NSW curriculum to provide the base for the development of the capabilities, ie in order for the capabilities to emerge. General capabilities encompass the knowledge, skills, attitudes and behaviours to assist students to live and work successfully in the 21st century. None of these is a subject. But each is a significant contributor to the success of our subject-based schooling. And to ignore these is to deny our students what they need to ‘live and work successfully in the 21st century’. Although these were not defined and listed in the discussion, there appeared to be a general consensus on their importance, so it could be assumed that each of the panel members knew and understood what they are. The conversation moved on to ways to ‘assess the capabilities’, particularly in our current climate of what is described as ‘what we measure is what matters’. We see around us every day the results of a focus on what is measurable being the only things that matter; where constant assessment constantly shows so many of us what we cannot do. The discussion finally lurched into HSC territory and the reliance on the use and significance of the ATAR as a measure of a student’s success and as a guide for academic success at university. Those who knew anything about it agreed it was not particularly useful and the system needs to be changed. Again, there was an assumption that all panelists were knowledgeable. What was not dealt with, was how we really have no idea what our future in 50 years’ time will be. That is not something we can intelligently contemplate. Certainly our own teachers were not trying to predict the future when they taught us, and who could have accurately predicted the impact of the last 15 years of technological development? So how do we prepare for the future? By making the present as rich and significant for our students as we possibly can. It is the learning now that forms our students. It is the curriculum content, the general capabilities, the quality of classroom interactions, the valuing of our teachers and their importance, and the valuing of our students and their learning, which forms and shapes the citizens our students will become. It is what happens in our schools now that will provide for the future. Our classrooms are rich with syllabuses being implemented by the teachers who have curriculum expertise. Our teachers are knowledgeable, curious, thoughtful, passionate, committed and dedicated to their students and their profession. They are also committed to delivering curriculum content in the best way possible for their students, in their context. They do this as well as they can, while somebody else out there demands a measurement that bears contrived links to syllabus content, because the tests are manufactured; and while their teaching, their students, their schools, are judged against contrived standards. I love the imagery. I loved the idea that we have tetriminos constructed from assorted bits of necessary content and expectation being created out of some mechanistic algorithm up in the heavens of policy-makers, but which are really only variations on the same four blocks of what is considered needed in our schools. Think combinations of such elements of schooling as discipline, explicit teaching, the basics, better teacher training, money, a new curriculum, data-gathering, evidence-based practice …. Then their release with ever-increasing urgency, falling towards that baseline, while teachers frantically attempt to make each piece fit into that straight line goal. There must be no space between – there is no space between, in this current climate. But perhaps it is not that. Perhaps it is more that our teachers are the tetriminos. Each is composed of the same four square pieces, stamped out by our universities, with slight variations in arrangement so as to be able to demonstrate their ‘individuality’. Think high ATAR, conservative, well-dressed, conforming, studious, personable, content-knowledgeable …. They are being dropped down that well, confined by the screen, and having to be rearranged (or arranging themselves) as they fall, to ensure that the same bottom line is achieved. The process is speeded up as soon as any achievement of that filled bottom line is apparent. There must be no space between – there is no space between, in this current climate. They twist and turn and are twisted and turned by all those pressures, those guiding ‘expert’ hands from outside of the classroom, whose goal is to achieve just the bottom line, with no space between. Is this what was intended? Tetris is a video game. It was designed and programmed by a Soviet Russian game designer in 1984. Readers may be familiar with it. Tetriminos are game pieces shaped like tetrominoes, geometric shapes composed of four square blocks each. 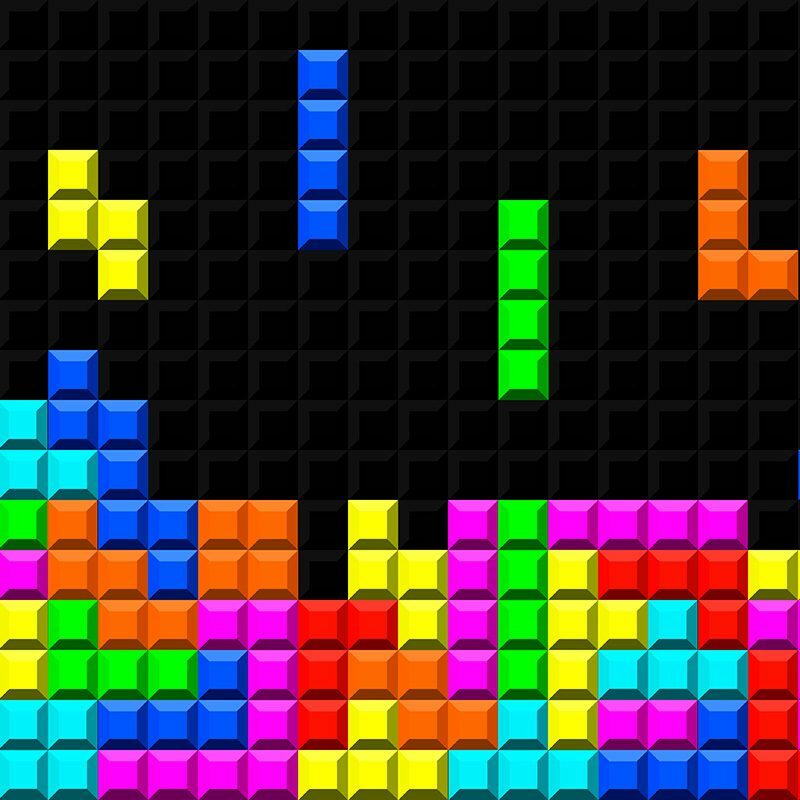 A random sequence of Tetriminos fall down the playing field (a rectangular vertical shaft, called the “well” or “matrix”). The objective of the game is to manipulate these Tetriminos, by moving each one sideways and/or rotating by quarter-turns, so that they form a solid horizontal line with no gaps. When such a line is formed, it disappears and any blocks above it fall down to fill the space. When a certain number of lines are cleared, the game enters a new level. As the game progresses, each level causes the Tetriminos to fall faster, and the game ends when the stack of Tetriminos reaches the top of the playing field and no new Tetriminos are able to enter. This could well be the future of education in Australia? For the next 50 years? How are we going to manage talking and listening?